Luke Kovak is part of a covert group within the CIA that works on illegal black ops involving blackmail and assassinations. When his boss orders the murder of one of the team, Luke realises how expendable they all are and gets out (taking proof of their activities with him). He now lives as a priest until the group start to get close to tracking him down. Royal Wedding schedule released. Down to the minute. Former special services agent plays an intricate game of chess involving several federal agencies. Queen takes pawn. When a man is murdered in Moscow, experimental bionic research brings him back to life. He then sets out to find his murderers and money that was stolen during the crime. Assassination at a charity event in Shanghai has 2 cops follow and fighting the assassin or follow a cute, Japanese woman pick-pocketing the victim. Drugs are involved. Chases with motorcycles, race-cars and helicopter follow. 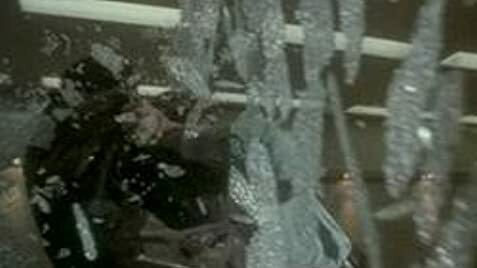 A prototype enhanced human, on the run from Chinese-hired hit men, hooks up with a dread-locked bystander, and the two of them elude their pursuers narrowly each time. A man who has just been released from prison vows to start a new life, but is put to the test when an old cellmate appears. In a U.S. army base, a senior army officer leads a group of young men into drug trafficking. Bartender on parole gets re-involved with his previous girlfriend, only to discover he's part of her criminal scheme. A historical epic set in 18th-century Kazakhstan, where a young man is destined to unite the country's three warring tribes. Beneath the corridors of power, men without faces deploy operatives that don't exist, on missions that never happen. Pretty impressed with this thriller. 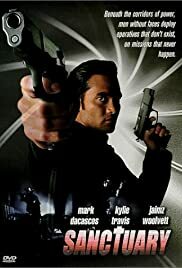 Mark Dacascos has a good on screen presence as the CIA killer-turned-priest-turned-killer-again. The story holds interest and the director steers clear of the usual mad machine gun frenzy Hollywood imagines its action viewers want to see. This is a movie with some style, of an almost modern Gothic feel. Dacascos performs with all the intensity expected of a man facing his past demons. The action is sharp and straight to the point, with no unnecessary flourishes. My only criticism was the standard showdown between hero and chief villain at the end, which was a tad too long. It would be refreshing if this formula was altered to an extent by having the chief villain getting it maybe a lot sooner, and then having the rest of the enemy polished off after as they panic. Instead we have martial arts expert Dacascos pitted against the Schofield Kid from Unforgiven, and the Schofield Kid holding his own for more than ten seconds. This is a minor blip however in an otherwise engaging thriller. Nice little twist in the tail at the end, and as other viewers have observed, it leaves the door open for a sequel, although hopefully not Sanctuary 3, 4 and 5, as that would just kill the original concept. All in all this is a good movie and much recommended.